Lamentations 3:21 This I recall to my mind, therefore have I hope. (KJV) Lamentations 3:22 [It is of] the LORD'S mercies that we are not consumed, because his compassions fail not. (KJV) Lamentations 3:23 [They are] new every morning: great [is] thy faithfulness. 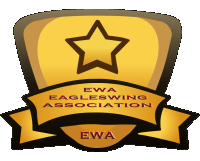 EaglesWing Association is Faith By Works! MHM is a proud member of the EWA!